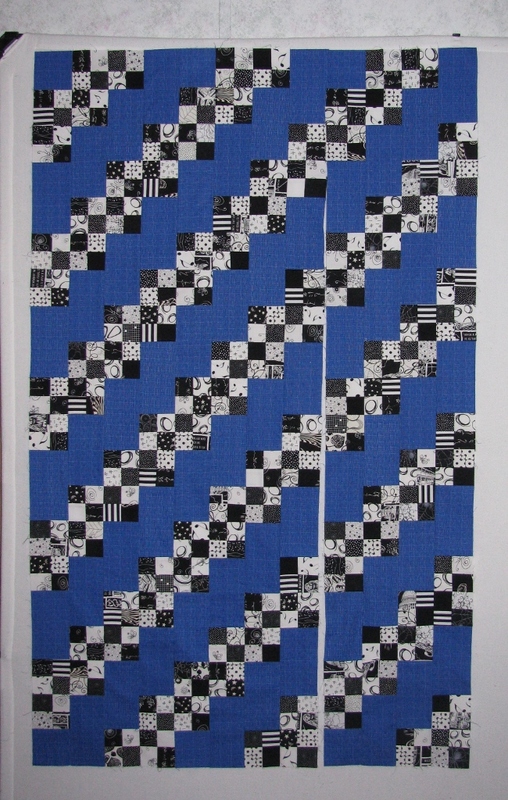 While blog hopping, I came across the directions to make an Interleave quilt. 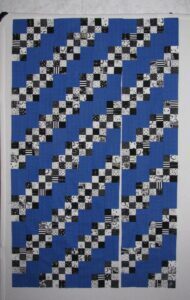 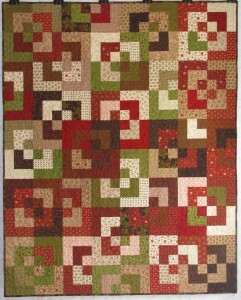 It reminds me of Ricky Tim’s Convergence quilts except all the strips are the same size. 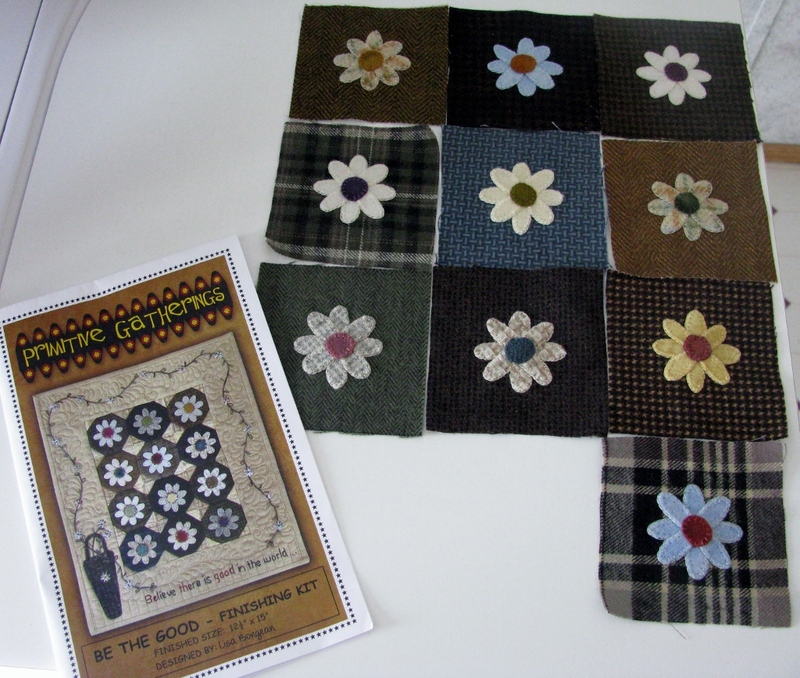 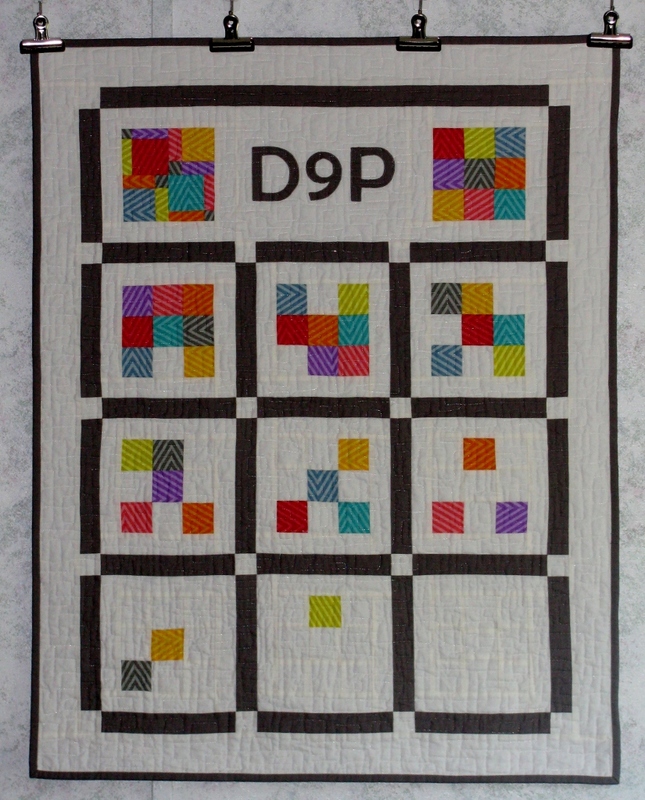 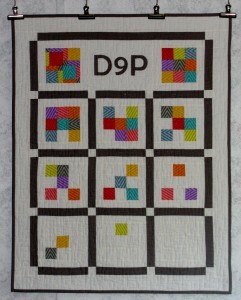 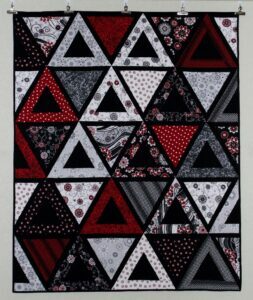 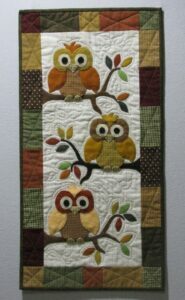 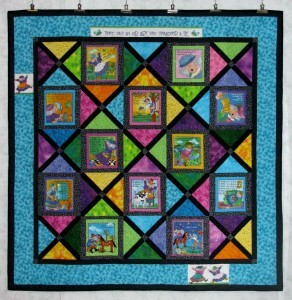 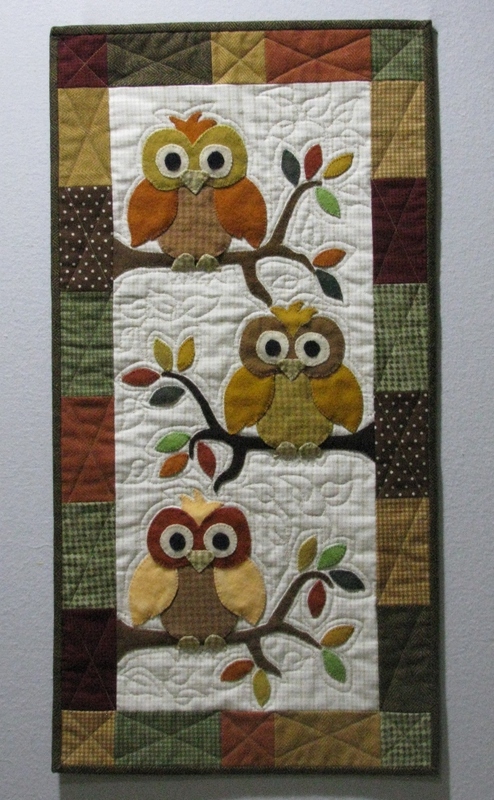 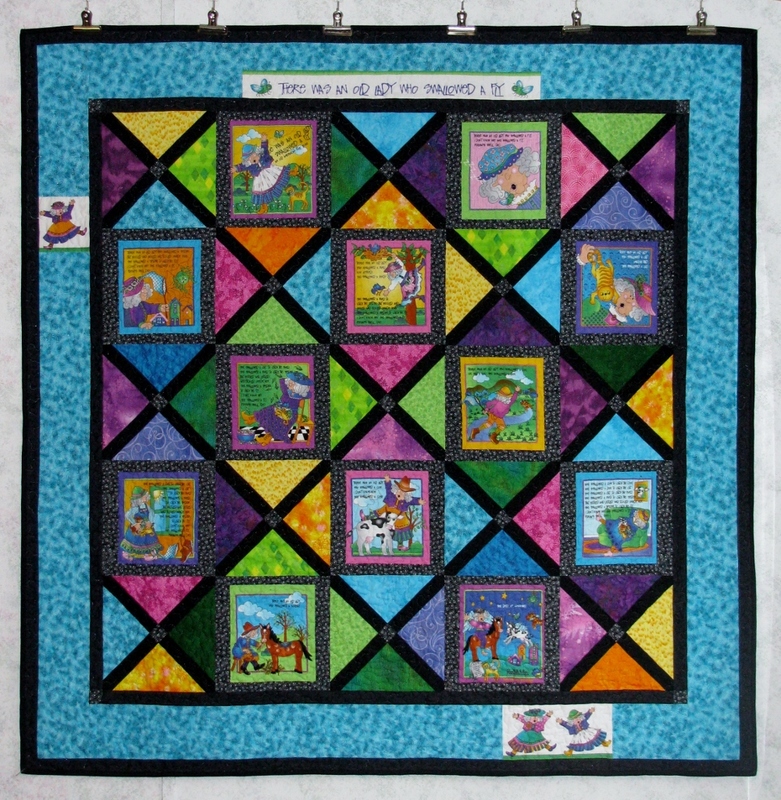 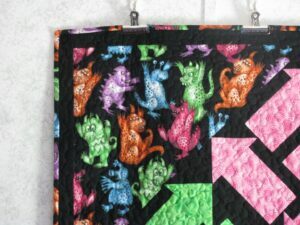 The wallhanging is 16 3/4″ x 17 1/4″ and will make a great doll quilt for one of my granddaughters. I have also been working on my wool flower applique project. 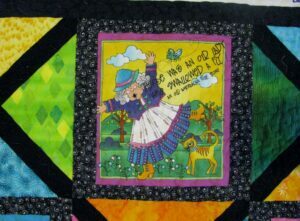 The saying on the bottom border says “Believe there is good in the world”. 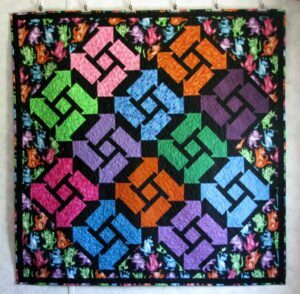 I am going to replace that with “Friends are flowers that never fade”. 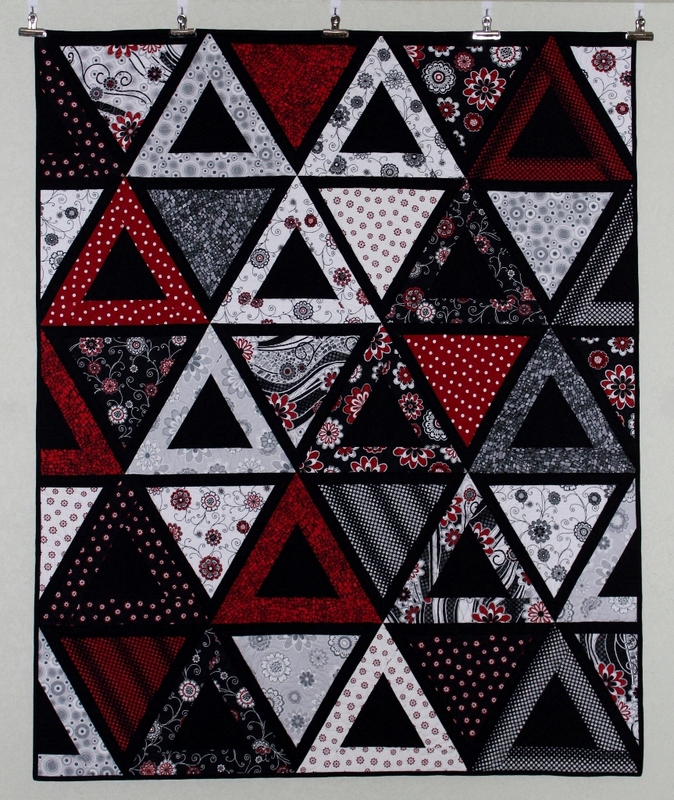 Are you planning to do Bonnie Hunter’s Grand Illusion mystery? 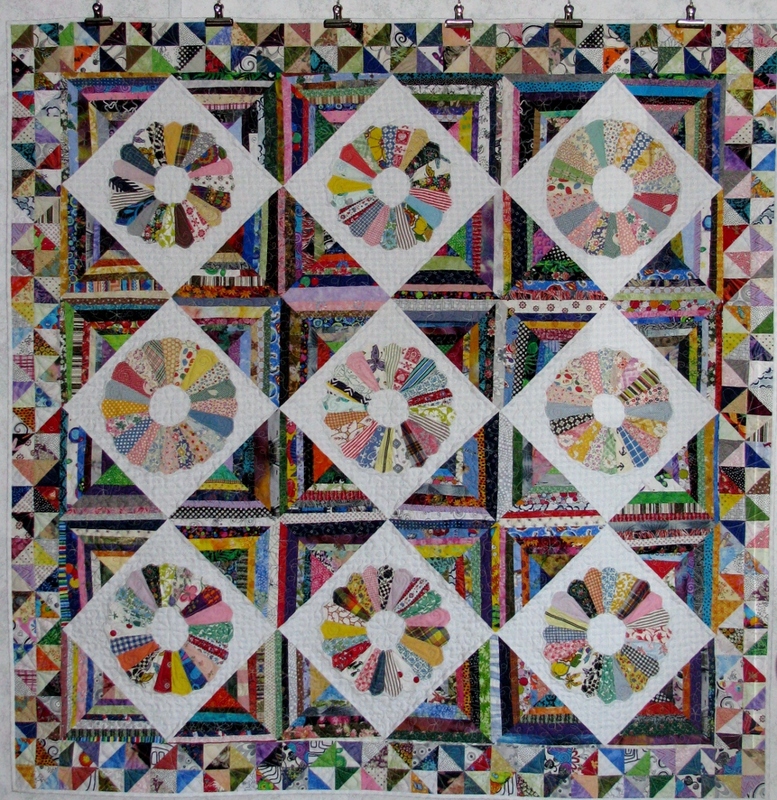 I haven’t pulled any fabric yet, but I have been thinking about the colors. 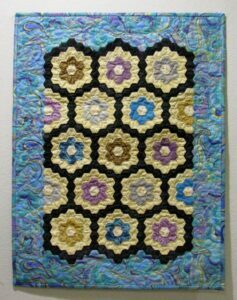 The plan (subject to change) is gold replacing yellow, purple replacing green, all the neutrals are beige/tan, and burgundy replacing pink with the black and turquoise. 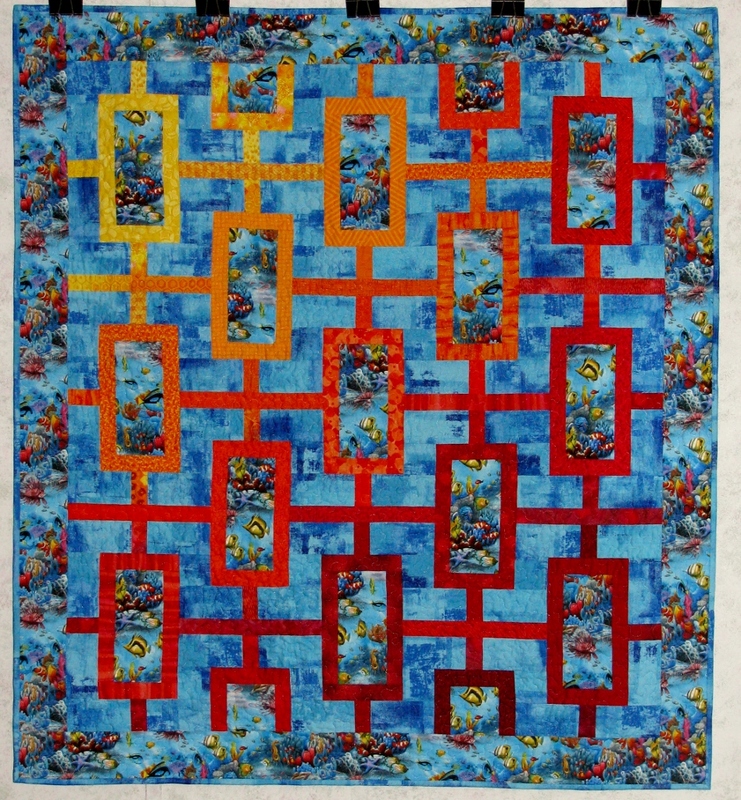 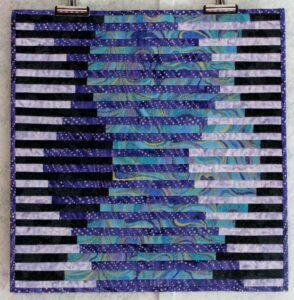 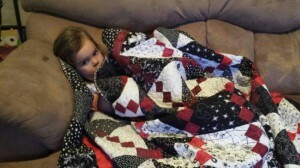 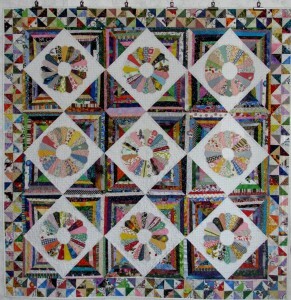 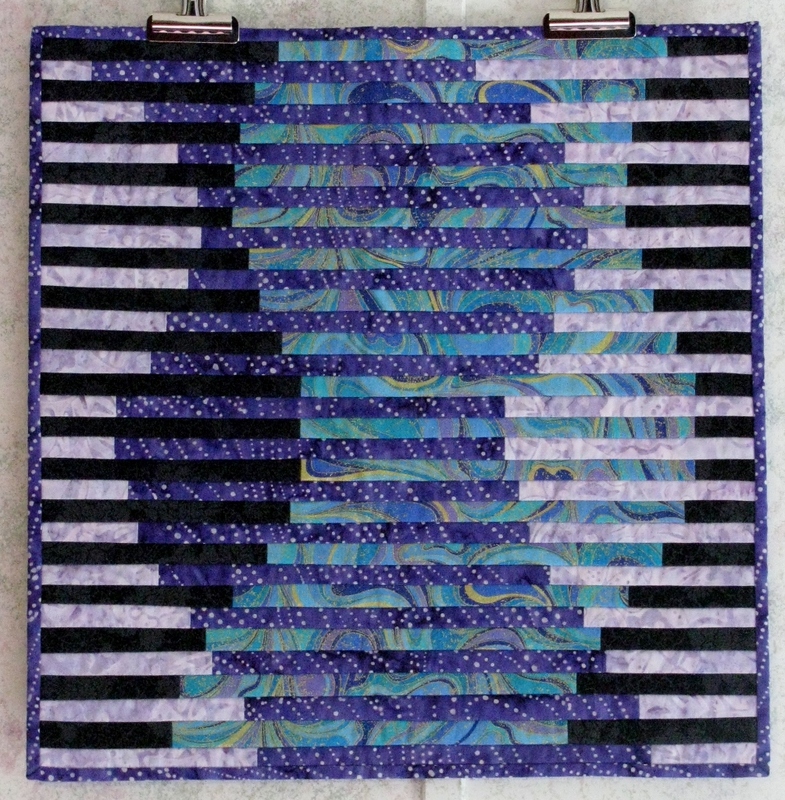 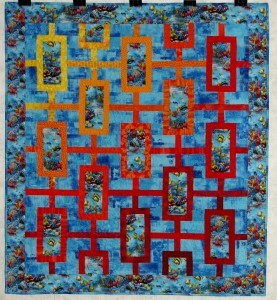 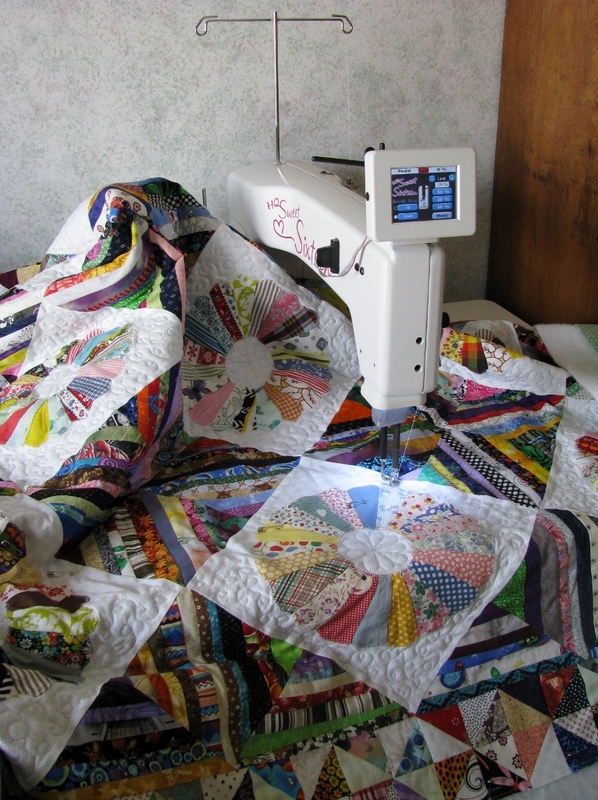 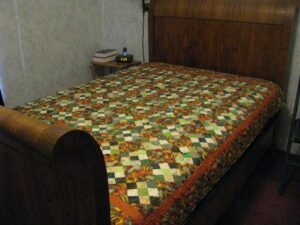 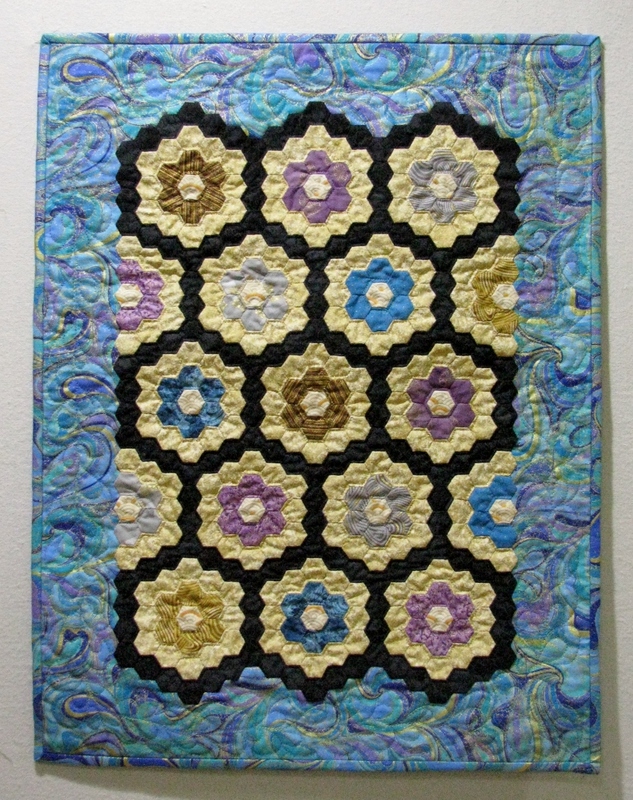 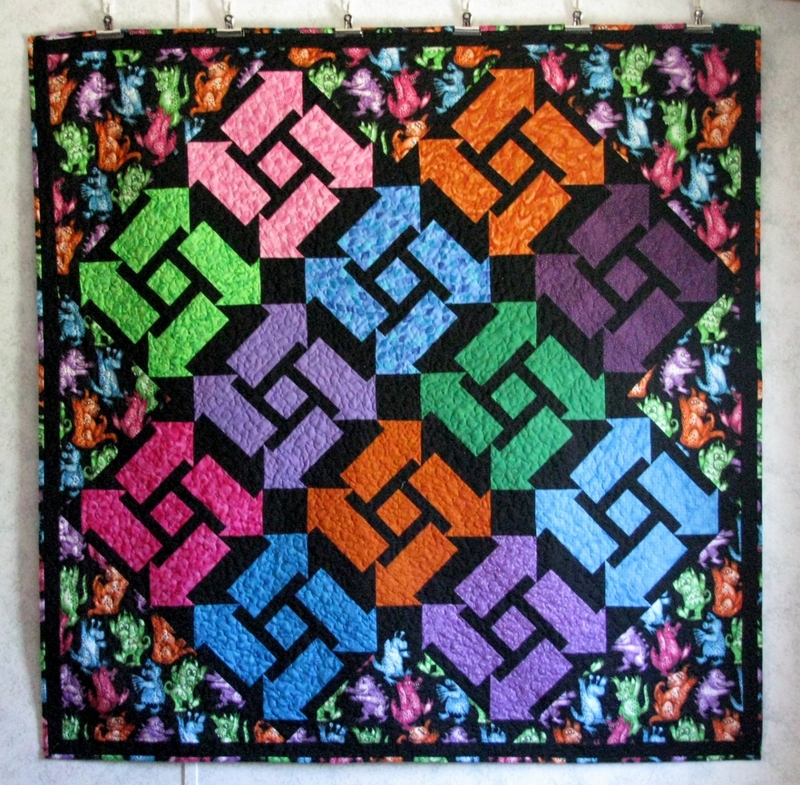 I also want to make the quilt smaller – more around the 70″ size. It is going to be fun.